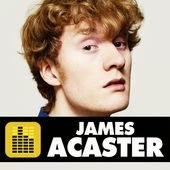 Rosie was a guest on James Acaster's iPod shuffle show on Fubar Radio. James was away and Joey Page stepped in to compare music collections with Rosie. Check out Episode 10 on iTunes.